To see an individual of such low standings attack a fine man like Gen. John Kelly is nothing short of stunning. After boasting about how her feud with the White House has made her a “rock star,” Rep. Frederica Wilson ripped President Trump’s Chief of Staff, once again — then complained the feud SHE STARTED has become personal. As The Gateway Pundit previously reported, Wilson, basking in national attention following her blistering attack on President Donald Trump over a condolence call to the widow of Sgt. La David Johnson who was killed in Niger on October 4 with three other Americans, bragged to reporters Thursday afternoon that she is now a “rock star” following criticism by White House Chief of Staff Gen. John Kelly (USMC Ret), himself a Gold Star father. 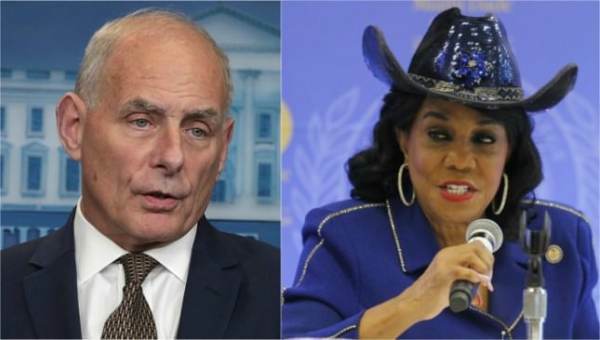 The Washington Examiner reported Wilson’s office issued a statement late Thursday afternoon that she would have no further comment after also attacking Kelly personally.